The Monks of the Benardine Hospice of Switzerland have kept this kindly breed since the 1660's. They used it for draught work and boasted to potential buyers of its hauling abilities. It was also used to make trails through fresh snow. Whether the St. Bernard actually rescued snow bound Alpine travelers is debatable, but the image has been irreversibly established. It is a muscular giant and needs a lot of space and food. It may weigh between 50-90 kgs and is 60-70 cms tall. Picture at Right: Courtesy, Mak kennels, Mr.Sharath Babu, Bangalore. Dvijatman Kennel: Dvijatman Kennel Offers True Type Saint Pups from the very best combination of American and English Bloodlines. As you can see for yourself they are top show quality prospects. 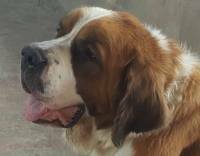 Heavy Boned, Strong and sound Genetics, Big head, Round and Perfect Muzzles, lots of Stop, Nice Plush coat and Balanced Body. Pups are being Reared & weaned Without steroids, naturally on Royal Canine Starter and natural home made food. Click here to view puppy pictures. Contact: Mr.Siddhaant Trivedi. Cell: +91-91656-99954, +91-77709-22111, Madhya Pradesh, Bhopal. Calling Time: 11 Am - 9 Pm; SMS wont be entertained. Sheruland Saints Announces their New Litter of Saint Bernard Puppies from Indian Champion Parents: Ch.Mairaz Drogo X Ch.Julie The Horse of Sheruland. Parents are also Multi BOB and Line Up Winners. Click Here to See Litter Box, Photographs and Pedigree Details. 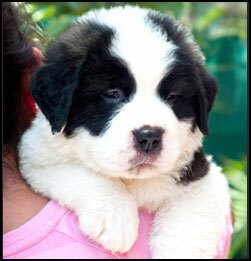 Candle Lights Kennel offers saint bernard puppies from highly pedigreed parentage. Quality male and female puppies are available for sale. Note: Puppies can be shipped anywhere in India and Abroad. Click here to view litter box. For more details contact: K.Kamal, Chennai. Mobile: 09940394411. 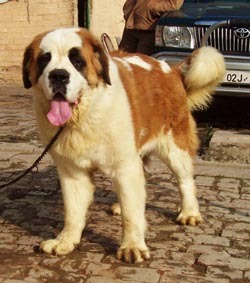 Simha Kennels offers Excellent Quality St.Bernard Puppies from Champion Parents. Raised with care and affection. 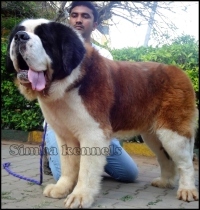 Sire-Indian Champion Catowild Kirus Sartaj of Simha Kennels. Dam - Catowild Kirus Charming Lady of Simha kennels. Click Here to see Litter Box, Pictures of Sire, Dam and Puppies. Puppies can be sent to Metro Cities. Contact: Kiran Gowda, Ph: +91-8722222244 / 9743255559. Kiran Gowda, Simha Kennels, Rajajinagar, Bangalore, India. 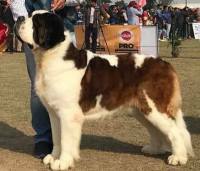 Ajit Kennels, Home of Top Quality, Show specimen Saint Bernard puppies offers Extremely Good Quality Heavy and Healthy Puppies with Perfect Markings and Colour. Puppies will be De-wormed, Vaccinated as per schedule before they leave for their New Homes. Breeding experience in Dogs from last 28 years. Having strong lines in pedigree & show quality puppies. Click Here to to see Litter Box, Photographs of Sire, Dam, Puppies and Pedigree Details. Contact: Shrihari S Gokhale, Cell: 9822506870,9273111110. Email: gshrihari2000@yahoo.com Whatsup & Sms will not be answered. Royal Squad Kennel Offers you very beautiful St Bernard puppies from the Best combination - Sire: MBIS BI Grand Indian Champion Bravo X Dam: MBOB Indian Champion Berry On Toles. 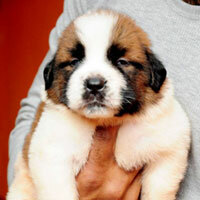 New Height Yodha Kennels: We are proud to announce for sale a litter of saint bernard puppies. Am Indian champion Avatar x Woodhavens Mea aka love. All the puppies come with - 1st Vaccination, Vet check, Regularly de-wormed, Health record, Puppy info pack, KCI Reg. Click here to view litter box. 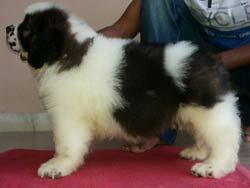 For details contact: Vishal Sethi, New Height Yodha Kennel; Email: sethivishal74@hotmail.com ; Phone: 8938823456 ; 9815900123. 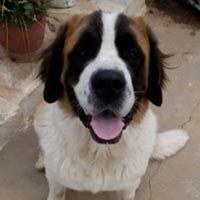 Philanski's Happy Paws Pet Home: Philanski's Happy Paws Pet Home, Bangalore is very glad to announce an Adorable Bubbly Litter of St. Bernard. All the Pups are in great health and de-wormed up to date. The Sire and the Dam are very loving and have a pleasant temperament so true to its breed. These lovely Furballs await to be part of your loving family. Click here to view litter box. Call or Whatsapp your enquires to Deva Amrith on +91 9986654936/ +91 8867188517. 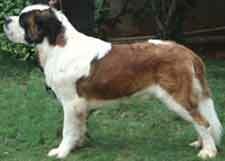 Gregory: Top Class Show quality Saint Bernard Puppies available for True show homes. They are from a long line of imports, champions and international champions. KCI Registered, De-wormed & Vaccinated up to date. Born to a sire that has a one of a kind head. Both parents are friendly and good tempered dogs. The mother is a sweetheart and has a temperament unlike any other dog One could have ever seen. DOB: 15th August 2014. Shipping available to anywhere across India. Click here to view litter box. Contact details: Gregory, Ph: 98840-84496; Bangalore, Karnataka.